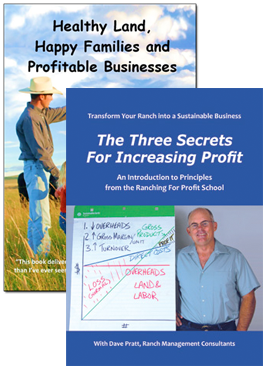 The following products are available from Ranch Management Consultants. All prices are in U.S. dollars. To purchase a product click on the “Add to Cart” button. 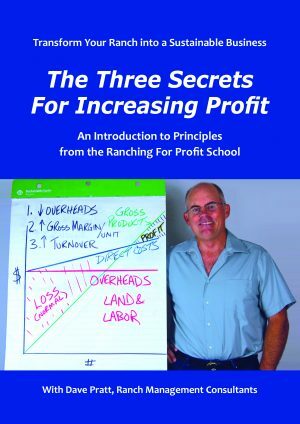 According to Stan Parsons, Healthy Land, Happy Families and Profitable Businesses, is “the best book ever written about ranching.” Joel Salatin calls Dave Pratt’s collection of essays, “a delightful, wisdom-dense read.” It is a terrific introduction to Ranching For Profit principles and a great refresher for RFP graduates. 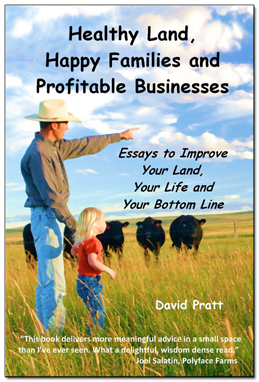 You can have both The Three Secrets For Increasing Profit DVD and Dave Pratt’s Healthy Land Happy Families and Profitable Businesses book for just $50. 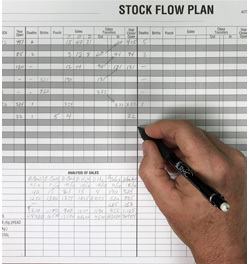 Get 10 legal size Stock Flow Charts. 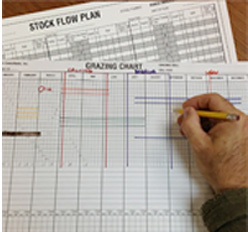 The RFP grazing chart is an invaluable tool for planning growing and dormant season grazing. 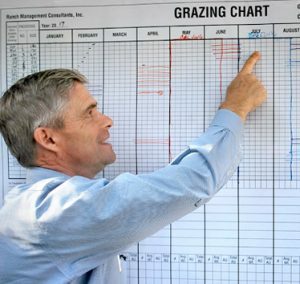 Using the chart it becomes simple to accommodate production and management concerns and avoid resource constraints.